If you are thinking about study in Australia it is likely that you’ll have many questions before making your decision. To help you out, we have compiled a list of answers to frequently asked questions by international students. If you have additional questions, please contact us online or via one of our offices. Australia invests billions of dollars into education each year. So our universities and education institutions offer world-class facilities and educators. Your Australian qualifications will be globally recognised and respected. Study in Australia offers much more than just a premium education. You will enjoy many different lifestyle choices, a high standard of living and great value for money. Our rich multicultural community means you will meet many different people from different cultures. Check out our Life in Australia page for more information. When you study in Australia you will develop a broad outlook, excellent life experience, maturity and independence. 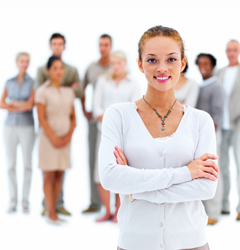 All qualities that are highly sought-after in the global employment market. Are Australian qualifications recognised overseas? Australian qualifications are highly respected internationally and are distinguished by the Australian Qualifications Framework (AQF). The AQF is our national system of learning that is recognised by many overseas countries. The Australian Agency represents only top quality nationally accredited institutions. So you can be sure your qualifications will be highly regarded wherever you choose to establish your career. Where can I get information on courses available to study in Australia? Australian Agency can provide you with valuable course information tailored to your interests. What are Australian university semester dates? Generally Australian universities have two semesters. The first is from February to June and the second from July to November. This can vary somewhat between universities. Which university will I study at? Australian Agency works with universities and education institutions throughout Australia. Your university will depend on your choice of study program and eligibility. Australian Agency will help you choose the right institution for you. Can I study for an Australian qualification by distance or on-line? Distance education courses are offered by Australian universities. Vocational and technical education institutions also offer these. Australian Agency can also assist with enrolments for distance learning or a mixture of distance and onshore study. What is vocational and technical education? Australia's Vocational and Technical Education (VTE) system is often referred to as Technical and Vocational Education (TVE) in other countries. VTE delivers training that is practical and career-oriented. Courses include: computing, business studies, marketing, tourism and hospitality. VTE is also available in Australian schools. Can international students attend schools in Australia? Yes. All government and non-government schools accept international students and must meet special requirements under Australian Government legislation. What entry requirements do I need to satisfy before I can study in Australia? These vary between study programs and levels. Australian Agency will help you identify and satisfy the entry requirements of your chosen course. For each course you will need to meet a minimum English language requirement. Do international students from English-speaking countries need to provide proof of English language proficiency? Not all students must provide proof of English language proficiency. Australian Agency can advise as to whether you are exempt from this requirement. How long will I need to study to reach adequate English language levels? There are six major categories of English language courses catering for all levels of proficiency. Full-time course duration generally ranges from four to 48 weeks. Students can enrol at any time during the year. How do I apply to study in Australia? Complete the online application form. For all application information visit our How to Apply page. What application closing dates do I need to be aware of? These will vary depending on your choice of university and study program. Australian Agency will help you meet all application deadlines. You can apply to Australian Agency any time of year. You should be aware though that some study programs fill up quickly. Student visas can take some months to process. And you may have special entry requirements to meet for your program of study. These can impact on the speed of your application process. What happens after I apply to study in Australia? Check out our How to Apply page. What happens if my application to study in Australia is unsuccessful? Unsuccessful applications are often due to entry requirements not being met. Australian Agency will help you meet these requirements and advise you on other available study options in your chosen field. Yes.Australian Agency has been handling student visas for over a decade. We can guide you through this process to ensure your documentation is complete and correct so your student visa is granted quickly. Do I have to complete my studies within a certain timeframe? Yes. Your student visa specifies an expected duration in which you will study in Australia. You must complete your studies within this duration. What if I finish my studies early? You must leave Australia within 28 working days. If you wish to extend your stay in Australia you must gain approval from the Department of Immigration and Citizenship (DIAC). Australia offers very competitively priced study and living. Overall, we are consistently less expensive than the USA and UK. Tuition fees will vary depending on the course and university at which you study and also your chosen lifestyle and activity expenses. Are student loans available to international students who study in Australia? Are scholarships available to international studentswho study in Australia? Yes. Most scholarships however, are offered for postgraduate study in universities. The majority of international students in Australia are full-fee paying students and are not awarded scholarships. Do I need a tax file number if I study in Australia? Australian Agency recommends that you get an Australian tax file number (TFN). You will need this for banking and tax purposes if you work during study. Every Australian Post Office will have an application form available. Or you can apply online. What support services are available for international students who study in Australia? Australian Agency offers a wide variety of services to support international students. Our services cover both your study and life experiences in Australia. We highly recommend you join our <<Student Club>>. The Student Club will connect you with other students and great activities in your Australian city. What can I do in my spare time?Australia offers many different lifestyle and activity choices. These vary depending on your choice of university and community. Both your campus and community will have lots of extra curricula activities on offer. These include music, drama, sports and outdoors activities. Australian Agency can also help you with all travel arrangements to see more of Australia during your down-time. Visit Life in Australia for more information. Australia is diverse in its geography and climate. Our country is located in the southern hemisphere. This means Australia's summer starts in December and winter begins in June. Nearly a third of Australia is in the tropics where the average temperatures are in the mid 20 degrees Celsius. The southern areas are in a temperate zone.